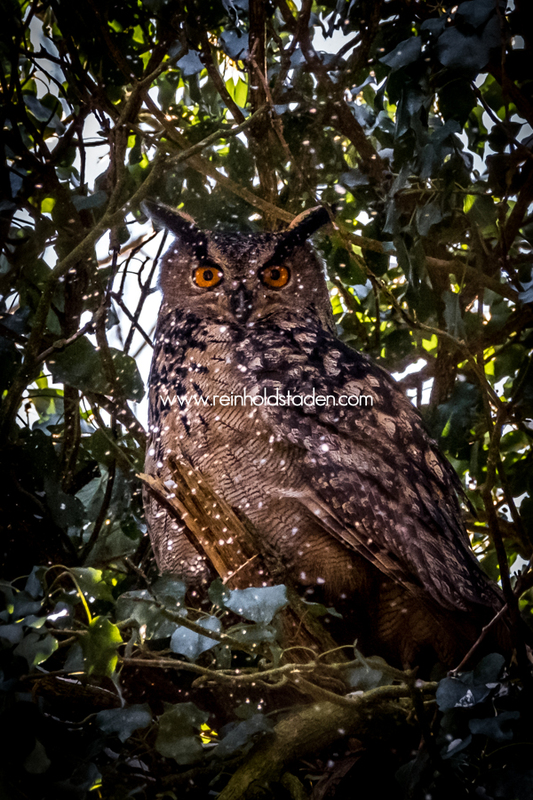 After several days of cold feet and patience and 1 day before I had to return the X-T2 and the 100-400 lens, my wife spotted the eagle owl high in a tree looking down at us. Handheld is difficult at this angle and in the light conditions of a forest. 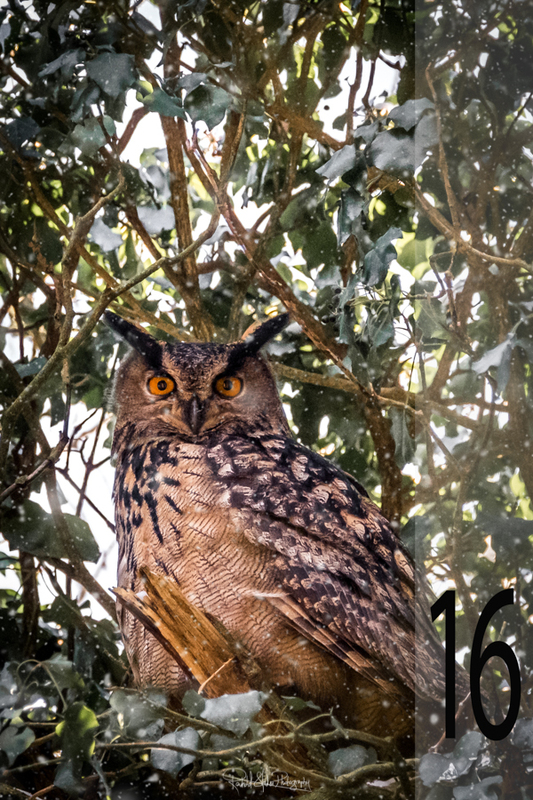 But I managed to get some cool shots of this awesome owl.